Trim the prawn feelers. Season prawns with a little salt and pepper. 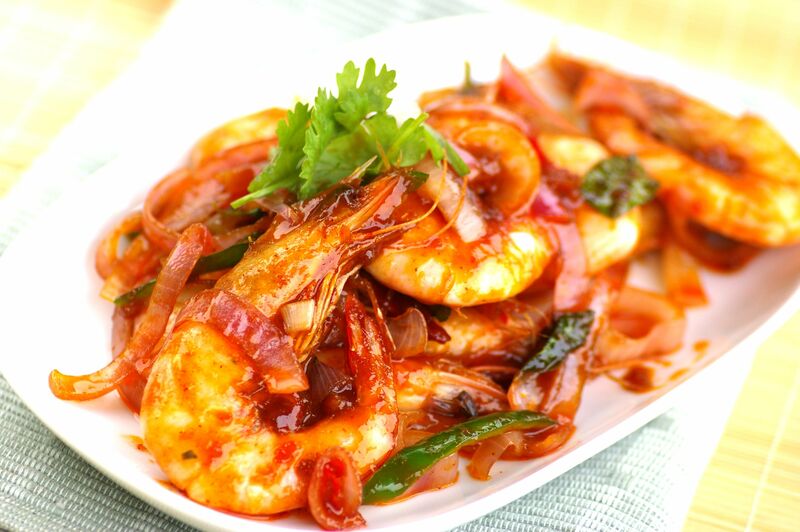 Heat the oil in a wok until hot and fry the prawns until they turn a bright red – about 1 minute. Dish out the prawns and set aside. In the oil remaining in the wok, sauté the dried prawns, onion, curry leaves and chillies until fragrant. Add in sauce and stir to mix well. Return prawns to the wok, toss in the sauce, and remove from heat.